From fun family activities to exploring the great outdoors, there are plenty of things that make Nebraska the perfect place for a nice summer day. If you’re gearing up for some summer fun, then check the 10 best summer activities to enjoy all summer long in Nebraska! With an excellent outdoor patio, The Slowdown in Omaha is the perfect place to catch a live show on a warm summer night. Grab some friends and head to the Slowdown for great craft beers and live music. At nearly 70 feet-tall, Smith Falls is the largest waterfall in the state of Nebraska. Enjoy the beautiful, natural scenery while hiking to the fall on the park’s well-maintained trails—or enjoy a picnic under the shady forest trees. Take a trip back in time and visit one of the only remaining drive-in movie theaters in Nebraska. At the Sandhills Drive-In in Alliance, you can catch all of the summer blockbusters under the stars. One of the top summer activities in Nebraska is definitely visiting the farmers market and Omaha is home to the largest in the state. With over 100 vendors, you can stock up on every fruit or vegetable imaginable for your summer barbecues. The Arbor Day Farm in Nebraska City offers 260 acres of nature to enjoy during the summer months. Get a bird’s eye view of the forest from the 50-foot observatory tree house, or invite the whole family to tag along and enjoy a variety of events and attractions at this fun twist on a traditional farm! During the summer months, Nebraskans flock to the small town of Crofton to soak up the sun at the Lewis and Clark Lake. This large lake is perfect for fishing, boating or relaxing on the swimming beaches. For golf lovers, the Lakeview Golf Course is also an excellent option. After appearing on the popular television show, “Shark Tank,” the eCreamery in Omaha has been a local favorite in the summertime. With dozens of unique flavors to choose from, and ample indoor and outdoor seating, this is the perfect place to cool off after a hot summer day. There are plenty of great wineries in Nebraska to tour for the day and sample some incredible wines. For an award-winning option, visit Mac’s Creek Vineyards & Winery in Lexington. 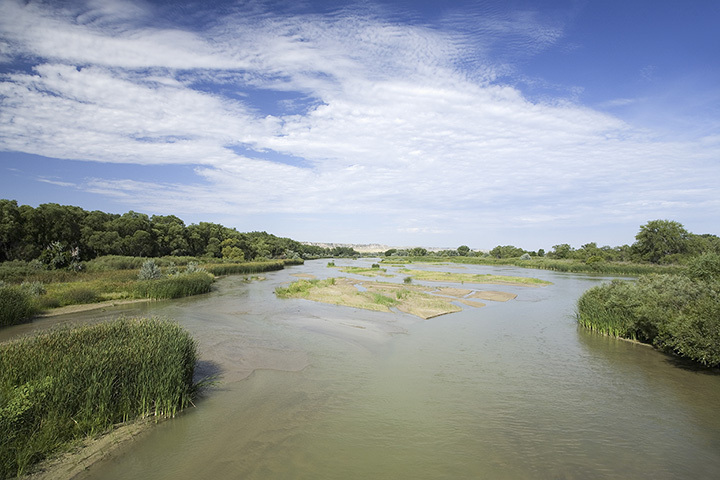 Take a trip to Cody Park where you can grab a tube and float down the North Platte River all the way to the bridge at Highway 30. The trip will take a few hours, so grab some sunscreen, water, and enjoy the scenic views on the water. If you’re in Omaha, the Henry Doorly Zoo is a must-visit during the summer months. With endless events, activities, and of course, animals, this world-class zoo is the ultimate destination for families and animal lovers alike. From an indoor jungle to the massive aquarium, it may take you more than one day to see everything!